A special treat, a thank you, an escape from the everyday, this is a gift to be enjoyed anytime. 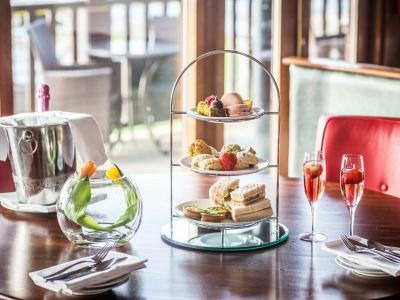 Escape the everyday and indulge in a delicious Afternoon Tea which includes hand crafted open sandwiches, homebaked scones and preserves, homemade sweet treats served alongside a range of teas and coffee. 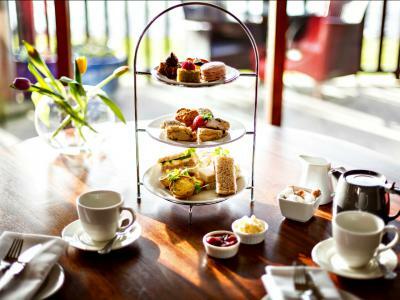 Lounge in laid back luxury with Afternoon tea for two by the lake. Enjoy a relaxing Afternoon Tea with Bubbly for Two, Wineport Lodge is the ideal place to enjoy a traditional afternoon tea while watching the world go by...Our Afternoon tea includes a tempting selection of gourmet sandwiches, home baked scones and preserves, sweet treats, tea/herbal tea or coffee and glass of bubbly for 2. 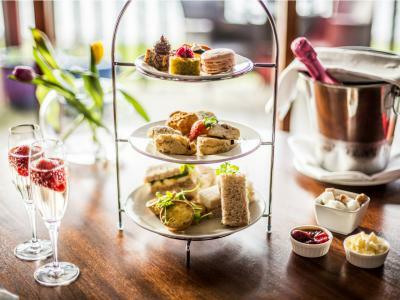 Treat yourself to an indulgent Afternoon Tea with Champagne for Two, Wineport Lodge is the ideal place to relax over high tea and let the bubbles flow...Our Afternoon tea includes a tempting selection of gourmet sandwiches, home baked scones and preserves, sweet treats, tea/herbal tea or coffee and glass of champagne each.